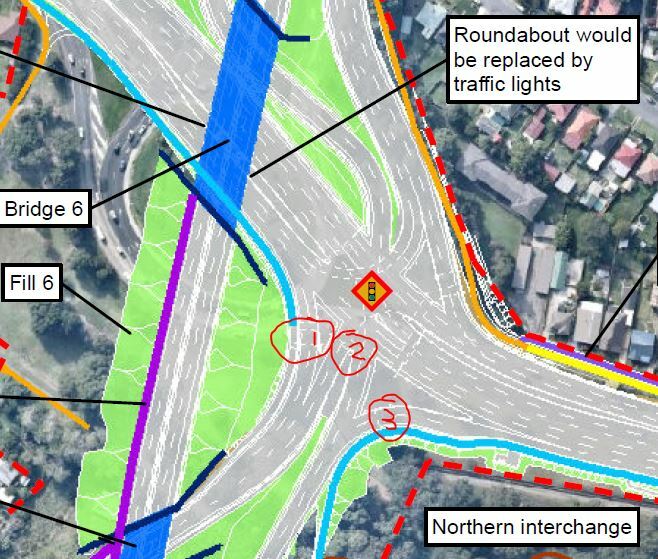 The government is about to spend 280 million dollars to facilitate the easy movement of environmentally unfriendly cars and trucks, but is giving a middle finger to cyclists and pedestrians in the process. If this madness of the triple crossings is persisted with, can I suggest a more equitable situation would be for every other day to have the crossings default to green for the pedestrians/cyclists, and any car driver wishing to proceed must stop at the lights; hop out of their car; press a button; wait in the rain, hail or shine for 2 minutes; repeat this 3 times; and only then be allowed to proceed. Pingback: Ridiculous and Dopey | Kiss Your Path Goodbye?